Lately, as I send my little novel out into the big wide world, looking for a home, I have debated what it means to be creative. And about Fame and what a strange, elusive, nonsensical thing it is. Sitting reading Sunday papers in bed today, I read an article on David Hockney, the artist, and how he was doing this mind-bogglingly inventive thing of painting outdoors. His work now looks very Van Gogh but nothing like as brilliant. Basically any teenager could have painted these Hockney scenes. Yet he is famous and these pictures will sell for lots and lots of money. Van Gogh? Well poor old Victor died mad, died young, died penniless and lonely. He was in the wrong era. By the time of his death he was just beginning to be appreciated and understood. Now he's worth millions but what good was that to him when he was never to know that his pictures would be admired, loved and iconic?...Sunflowers say?. Everyone knows his Sunflowers. I thought too of Rossetti whose life I am still studying for my work The Crimson Bed. He insisted on painting his own way, refused to have public exhibitions, never made it as an RA and never wanted to either. 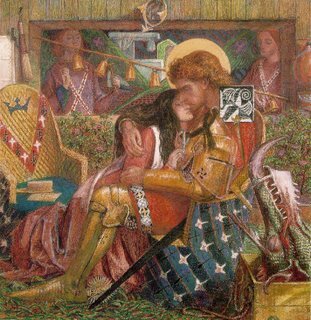 Millias, however (the original founder of the Pre-Raphaelite Brotherhood along with Holman Hunt) lost his original and individual spark, became popular, famous, met the Queen, became an RA and was knighted. Who thinks much of his pictures today? Would anyone want Bubbles and Cherry Ripe over their mantelpiece anymore? 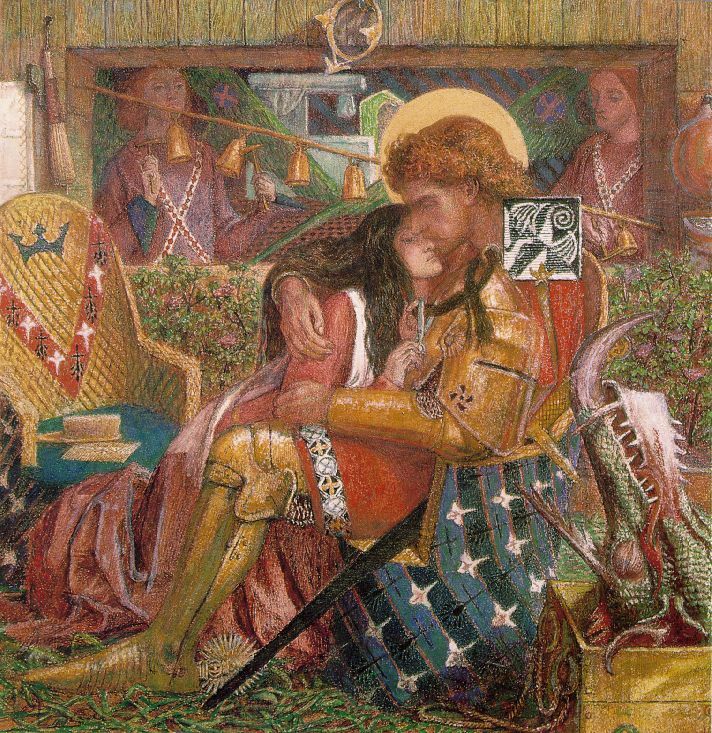 But Rossetti still fascinates us with his senusous, dramatic pictures of beautiful women and intricate, symbolic, archaic pictures of mediaval times. He had something that was oddly timeless. Poor Rossetti also died young and penniless from drink and drugs which he took to help cure his sleeplessness and general state of nervous paranoia. Millais died in comfort. Hmmm....which would I go for? If one truly aims for Fame, then you want it in this lifetime and want to know about it. However, if Fame refuses to touch you with a bargepole, it would be nice to dream that one's manuscripts might be discovered in a cupboard someday and become famous posthumously.